Our clients' modern home is surrounded by mature native oaks and redwoods, and affords spectacular views of Moraga Canyon. Their old patio pavement was buckling making it dangerous to walk, and was in need of replacing. Our goal was to create a new, modernized patio to reflect the clean lines and open feel of their home. 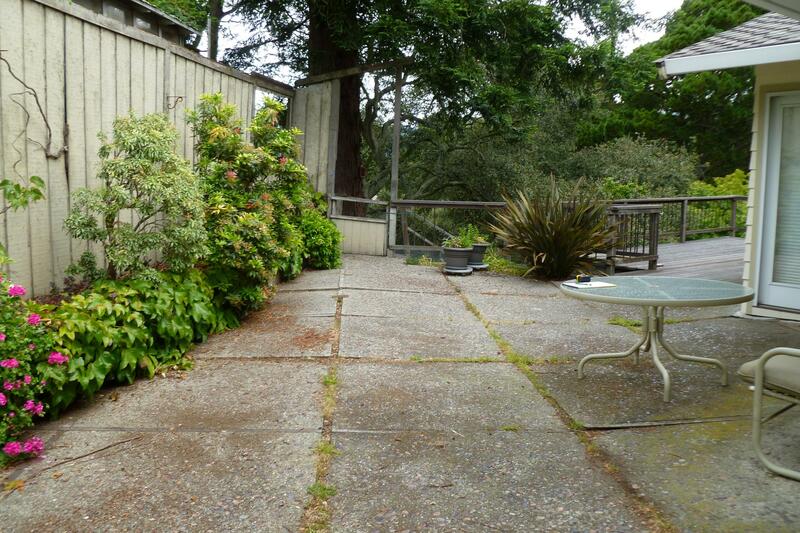 We replaced the old fence and mixed planting with an integrally colored concrete wall and engineered concrete paving. 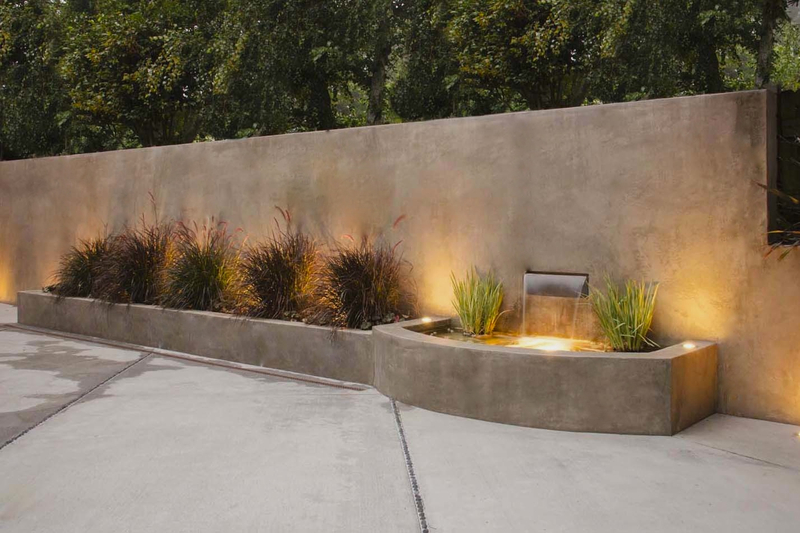 The planter walls are designed at seat height to accommodate seating for outdoor diner partiers, and an integrated fountain adds softness, drawing people into the space with its welcoming sounds.